Focusing on Live Retail, the event will provide an optimal vision of the challenges facing the sector and enlightened opinion regarding the expectations of a connected consumer for stores, brands and e-retailers. From 19 to 21 September 2017, the biggest European 360° retail event will present solutions, services and products to professionals from the sector looking for innovative and connected service providers. 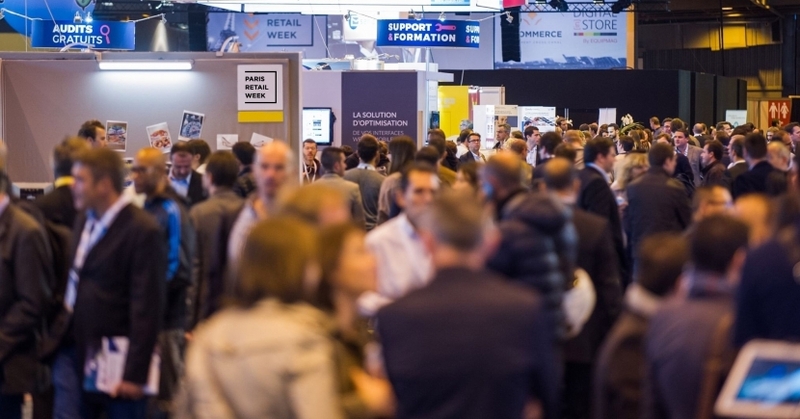 More than 600 exhibitors and 30,000 professionals will gather at Paris expo Porte de Versailles for 3 days, turning Paris into the European capital of connected retail. Exhibition areas echoing market changes, and a Startup Village presenting the most innovative retail solutions. Live Retail, the event’s main theme, will be discussed in more than 200 conferences, workshops and keynote speeches. Experts having already confirmed their presence include representatives of Costco, Starbucks, Google and Facebook. All the talks in the plenary sessions will be simultaneously translated into English. Business at the heart of Paris Retail Week, with the Business Meetings (personalised meetings with exhibitors) and Speed Networking (a business contact service). Uncovering new talents in the Startup Village and during the Paris Retail Awards' Ceremony. Various Activities for an Augmented and Virtual Reality experience: discover the latest innovations applicable in stores and enjoy a unique experience. Store visits alongside the exhibition to discover new shopping experiences: 2 Paris Retail Tours are organised on 19 and 20 September to visit several stores situated in prestigious Parisian districts. Download the press release "Paris Retail Week: The European business event for inspiration and networking"